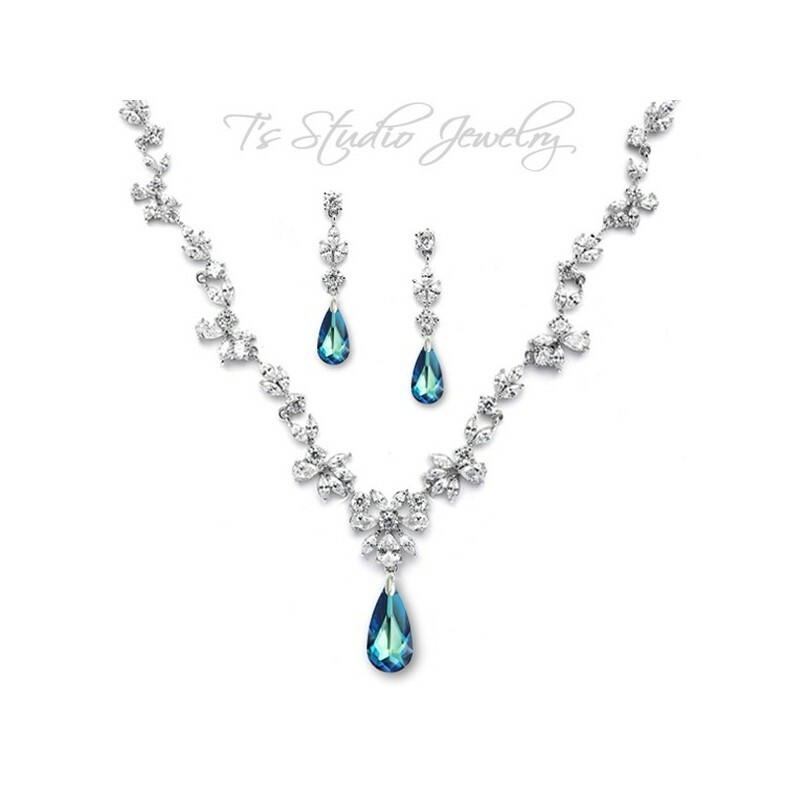 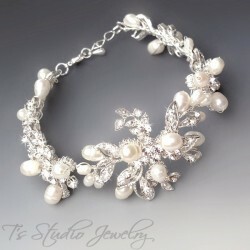 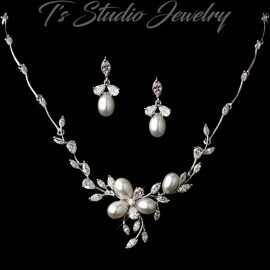 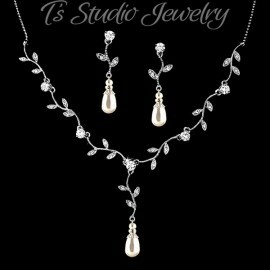 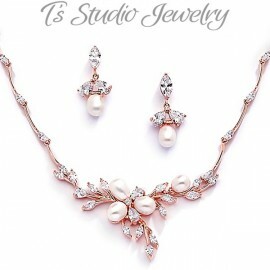 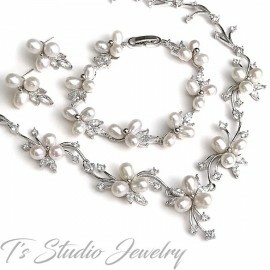 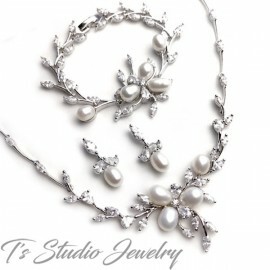 This luxurious bridal necklace and earring set is made with pear and marquise shaped cubic zirconia stones, with peacock blue Swaroski crystal stones. 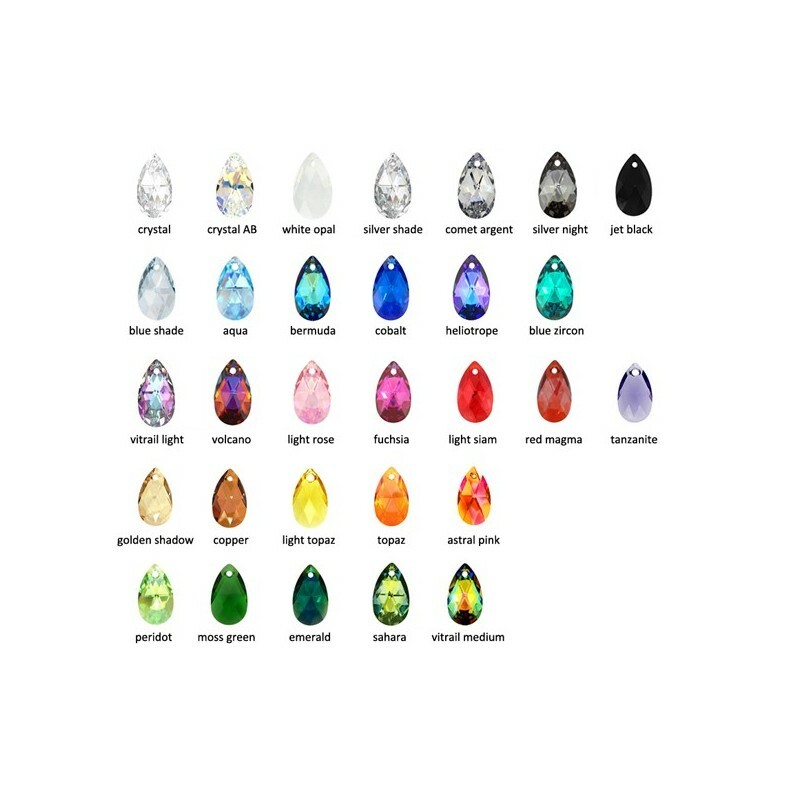 The colored focal drops are available in several colors. 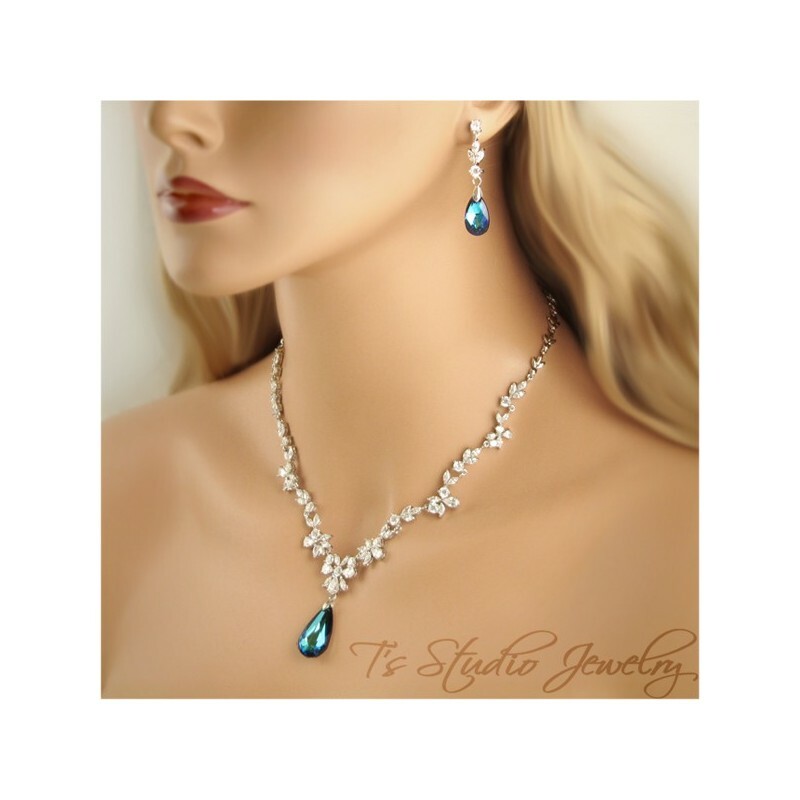 Please contact us if you would like a crystal color other than "Bermuda Blue". 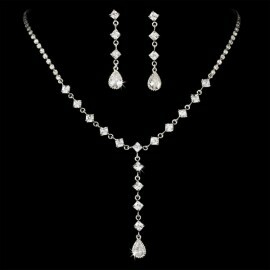 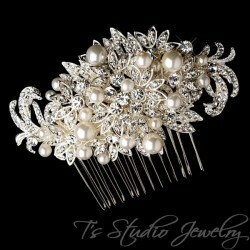 I purchased this set with the green "Sahara" stones and received many compliments on my wedding day. 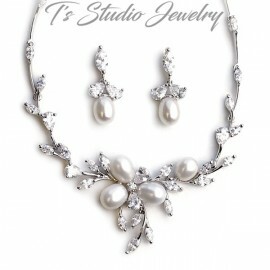 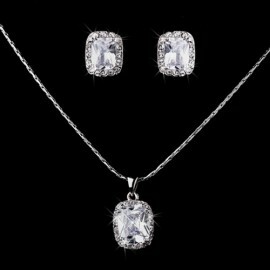 The necklace and earrings were just stunning, very sparkly and well-made. 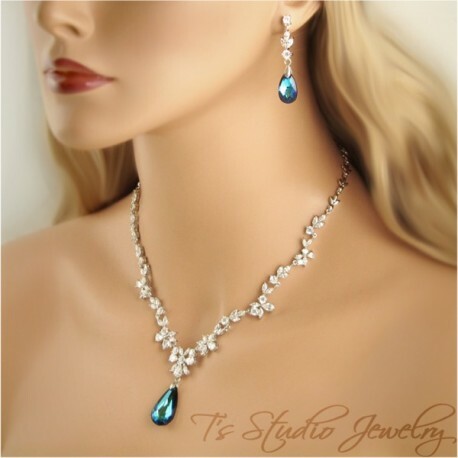 The seller was also very easy to work with, she contacted me about a possible delay with my stone choice and was highly responsive and helpful. 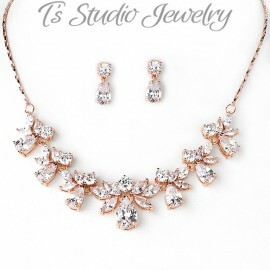 I would highly recommend this retailer!